Bernadette is Managing Director of Resources, Manufacturing and Logistics for Global Services, a division of BT Group providing global business communications services. She has over 25 years of comprehensive sales and leadership experience in the technology and telecoms sectors. Bernadette is a career technologist with domain expertise in digital, mobile and platform (hardware/software). Having cut her teeth at Vodafone, she is a culture carrier who has enjoyed a career managing complex turnaround and high growth businesses. A native of the UK, she has led and transformed businesses in the UK, Europe, Middle East & Africa, Russia/CIS and North America. 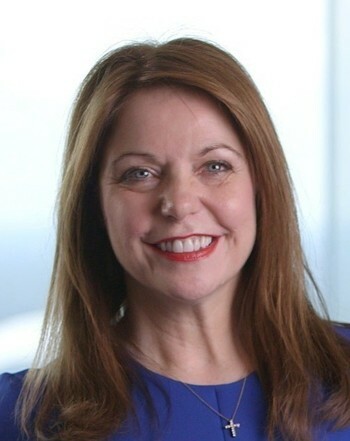 Prior to joining BT, Bernadette was President and CEO of Cisco Canada. In addition to her stellar record of performance in her functional role, Bernadette has deep experience influencing and leading policy change in government as a private industry stakeholder. Bernadette has been recognized for her work both inside and outside of the businesses that she had led including; Tech Business Woman of the Year, UK’s Most Influential Women in Technology, Debretts 500 Most Influential People, and Number 3 Twitter Business Personality in Canada. Her focus on culture has resulted in industry wide recognition including Best Place To Work awards.